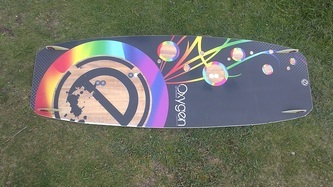 This board is a bit of an enigma, as most light wind boards are both long and wide, often with a straight or even concave outline. The Epic oxygen has much more of a freestyle inspired outline (despite being super-wide), a very flat rocker, no concave, yet a lot of flex. 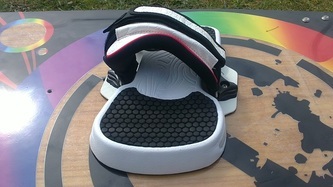 The board comes with 2 sets of fins, some 4cm ones for a skatey/freestyle feel and 5cm ones for a more directional feel for free-riding. I'm going to come clean here, I'm usually not a fan of light-wind boards at all... They're all well and good for riding when others aren't, but if you try to do anything interesting with them, they are often cumbersome and frustrating. 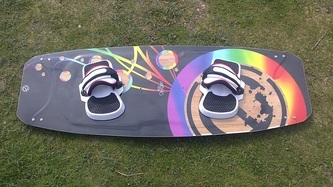 My previous experiences with light-wind boards made me all the more surprised when I tried the Oxygen. 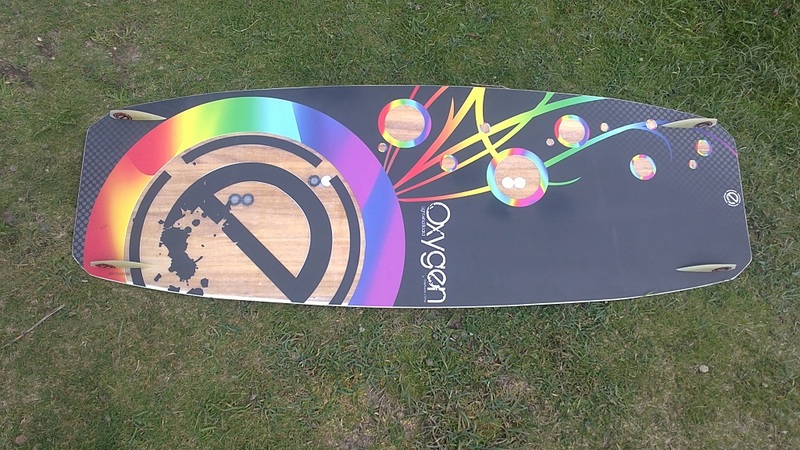 The large surface area and flat base allow the Oxygen to plane very quickly and easily, and the board attains a respectable top speed when powered and tanks upwind with ease. This allows you to quickly gain apparent wind with the kite and continue planing through the lulls. The considerable flex of the board adds comfort in the chop and waves and aids its all-round prowess. 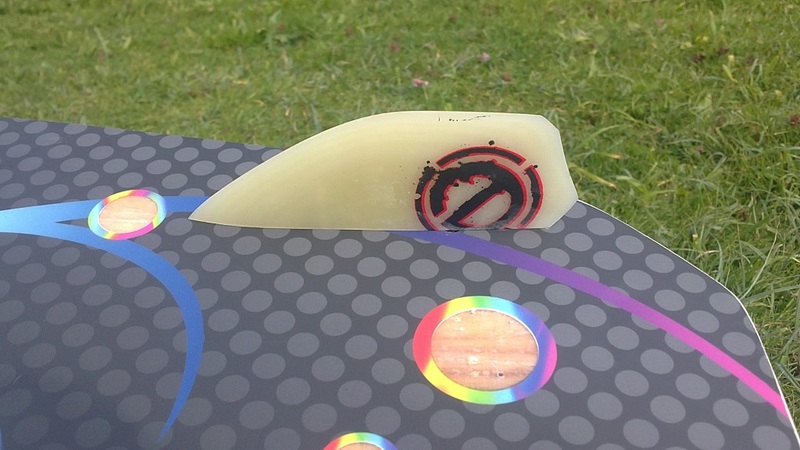 The most attractive and surprising feature of the oxygen is its freestyle ability, the 4cm fins allow the board to be easily spun on the water for surface passes and provide forgiveness when your landings aren't quite right. The dimensions of the board allow it to be flung around with almost the confidence you could a dedicated freestyle board, and is a great platform for trying new tricks in lighter winds than usual. The additional width and flat rocker does occasionally catch you out, but that's nothing that wouldn't soon be gotten used to. The foot-pads have a good shape to them and provide good impact resistance; the straps provide good hold, but are perhaps not as comfortable as some on the market. A truly excellent piece of kit to bring to the beach with you, allowing you to keep riding with your current kite before changing up a size or the push the bottom end of light-wind kite-surfing with. The two fin options allow the board to be tuned for freestyle or free-ride and ensure its a board which will fit the bill for pretty much anyone. The dimensions, rocker, outline, flex and flat bottom all combine to give a board which performs far better than i'd ever expect, without the usual shortcomings of classical light-wind designs.